I have a .020 PeeWee that I'm restoring. The inside of the cylinder has burrs near the exhaust ports, caused by attempting to remove the cylinder with the Cox tool. This has caused the piston to bind as soon as it hits the bottom of the exhaust ports. Is there a way to deburr this without losing compression? Or is the cylinder done for? Thanks for the help! For an old/niche engine, this forum is very active. The metal the cylinders are made from is very soft. An xacto with a sharp #11 blade can remove the burrs. I use a boom microscope with light source to see the high spot then scrape it down with the blade through the exhaust port. I’ll test fit with the piston. Any resistance means a high spot yet. I’ll then look for the high spot again under the scope and scrape that area only taking enough to remove that spot. I have done .010 cylinders this way too. I do this with .049 cylinders with a 80% success rate. Source a piece of tubing that fits fairly snug into the inside of the piston. 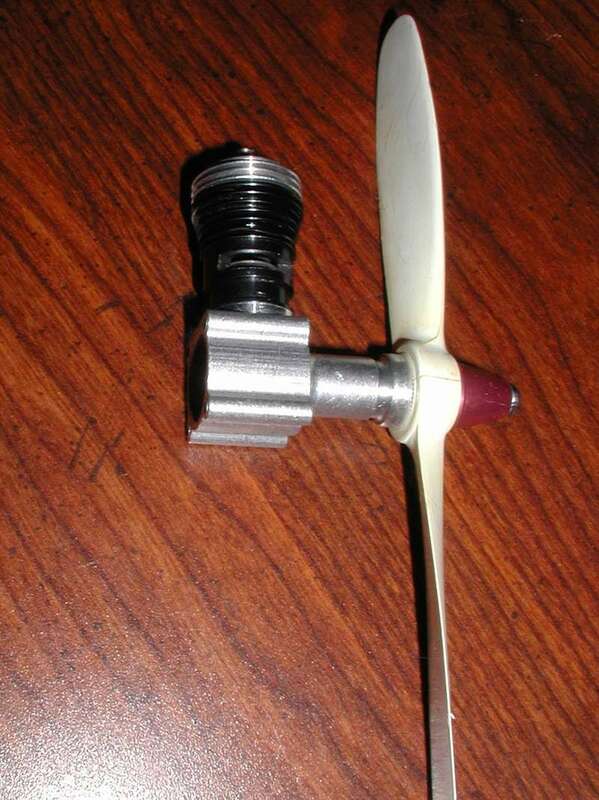 If it's too loose, wrap tape around the tubing and force it into the underside of the piston. 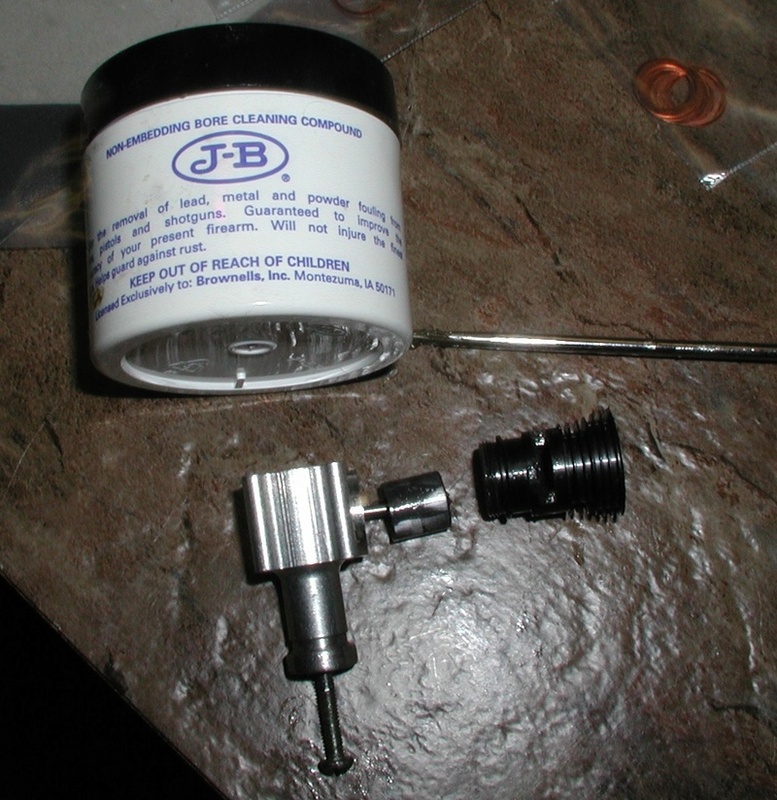 Take the piston and tubing and insert it upside down in the cylinder. Use Mothers Polishing compound or similar and pull the piston up to the point it begins to bind. Place a Q-tip full of Mothers into the the exhaust port and twirl. Don't be aggressive as it will jam the piston in the cylinder. Twirl the tubing while moving it slightly up and down. 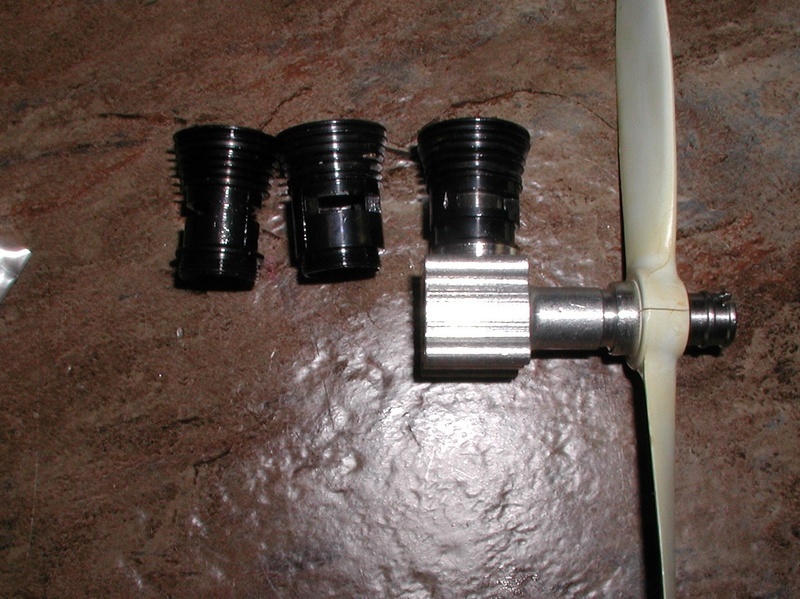 Eventually the burr will subside and allow the piston to come up higher in the bore. If the burr is very large, initially removing it can be done with a X-acto carefully using a jewelers loop to see it. Wash with hot soapy water to remove all traces of compound. I have used other forms of polishes and grits to speed this up if needed. Currently, if I have a problematic cylinder that won't tolerate finer compounds to fix, I use rottenstone mixed with oil and make it into a paste. Brasso works but is less aggressive . Powdered cleanser like Ajax works but you have to be very careful not to get carried away. So, I had three .049 cylinders, 1 thin wall with two bypass flutes, 1 thick wall with two flutes and one grooved with just a single flute that would not allow the piston past the mid to top point of the exhaust port. Not seeing any indication of burr damage I tried well used 400 grit wet/dry paper lightly rolled and inserted through the bottom of the cylinder with a circular motion. Finally, I got to a point where with some difficulty I could get the piston through the full length of the bore. Taking the worst of the three I then used JB bore paste in the exhaust ports as Ken advised and chucked it up in a drill running it at a slow speed CW & CCW to good results. Washed all components in hot soapy water, oiled and reassembled. Added a new spacer/gasket and glow head and surprise = compression. Won't be a barn-burner but it saved three cylinders from the scrap heap. Eager to run it and check the RPM's. To note would be that the burr generally occurs when the Cox wrench is shoved though the exhaust ports instead of sliding it along the exhaust ports, as intended to be done with the wrench.